Trump instructs Secretary of State to put off visit to North Korea, says not enough progress being made on denuclearization. U.S. President Donald Trump on Friday said he has asked Secretary of State Mike Pompeo to put off his planned visit to North Korea, saying Pyongyang was slow-walking efforts to dismantle its nuclear program. “I have asked Secretary of State Mike Pompeo not to go to North Korea, at this time, because I feel we are not making sufficient progress with respect to the denuclearization of the Korean Peninsula,” tweeted Trump. “Additionally, because of our much tougher trading stance with China, I do not believe they are helping with the process of denuclearization as they once were (despite the UN Sanctions which are in place),” he added in a second tweet. “Secretary Pompeo looks forward to going to North Korea in the near future, most likely after our trading relationship with China is resolved. In the meantime I would like to send my warmest regards and respect to Chairman Kim. I look forward to seeing him soon!” concluded the President. 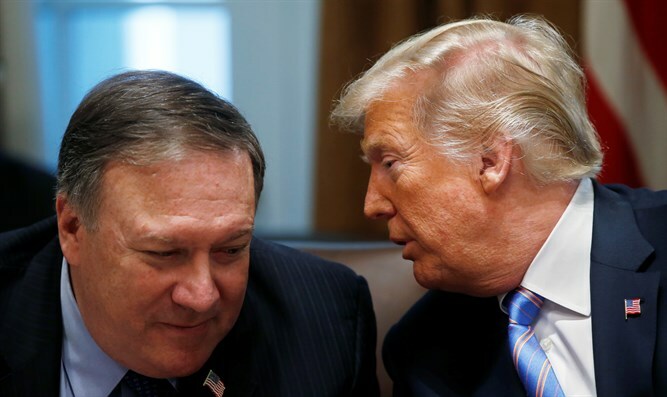 Trump’s announcement comes a day after Pompeo said he would visit North Korea again next week to try to persuade it to abandon its nuclear weapons and would take with him a new U.S. special representative, Stephen Biegun. “Steve will direct U.S. policy toward North Korea and lead our efforts to achieve President Trump’s goal of the final, fully verified denuclearization of North Korea as agreed to by Kim Jong Un,” Pompeo said. “He and I will be traveling to North Korea next week to make further diplomatic progress toward our objective,” he added. Commercial satellite imagery released on Wednesday found that North Korea has halted its dismantling of the Sohae Satellite Launching Station, its only operational space launch facility. In an interview with Reuters on Monday, Trump defended his efforts to convince Pyongyang to give up its nuclear weapons, saying he believed North Korea had taken specific steps toward denuclearization. He also said he would “most likely” meet again with Kim.